Our three graduate degree programs challenge students to put history into practice through research, writing and public engagement. Your graduate experience begins with an ideal location--minutes from the world-renowned Research Triangle, adjacent to other major universities, archives, museums, historic sites, and parks. History graduate students conduct research alongside our award-winning faculty and engage in the world around them in local, county and state institutions, through the NC State Graduate Student History Conference, and the Khayrallah Center for Lebanese Diaspora Studies. With more than 25 full-time faculty members who cover a range of historical fields, our programs allow you to enjoy small, seminar-style classes and close relationships with faculty mentors and advisors. 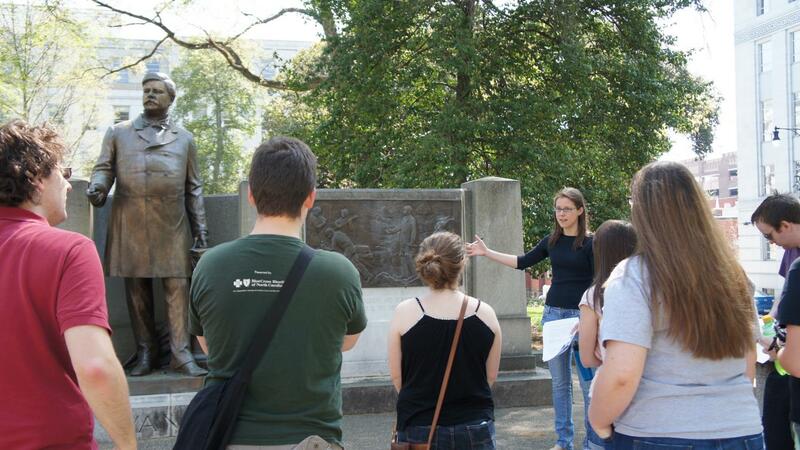 The History MA program serves three main constituencies: people who intend to go on to a PhD in history; people who intend to go into teaching (or who are already teachers) in high schools and community colleges; people, often mid-career professionals, who are seeking new challenges and opportunities through their love of history. The Public History program at NC State University ranks among the premier programs in the nation, preparing students to work in a variety of public and applied history settings. For over a decade, our graduates have enjoyed one of the highest employment rates in the nation, working in archives, museums, libraries, historic sites, and other public history facilities across the state, region, and nation. Building on NCSU’s already strong Master’s in Public History, our 72-hour doctoral program provides graduate opportunity to compete for positions calling for a doctorate such as curating or administrating at governmental institutions like the Smithsonian Institute or National Park Service, teaching public history at the university level, or serving as a principal in historical consulting. Some of our students come directly from receiving their B.A. degrees, while many of our students have acquired M.A. degrees in history, public history, or a related field and want to advance their credentials. Need help figuring out degree requirements, funding options, or departmental or university policies? Explore all your resources to ensure you succeed in graduate school. Learning doesn’t just happen in the classroom. Take advantage of opportunities to engage with history. Get involved in the life of the department, profession and community.